Mini Apple Lisa - 3D Printed! 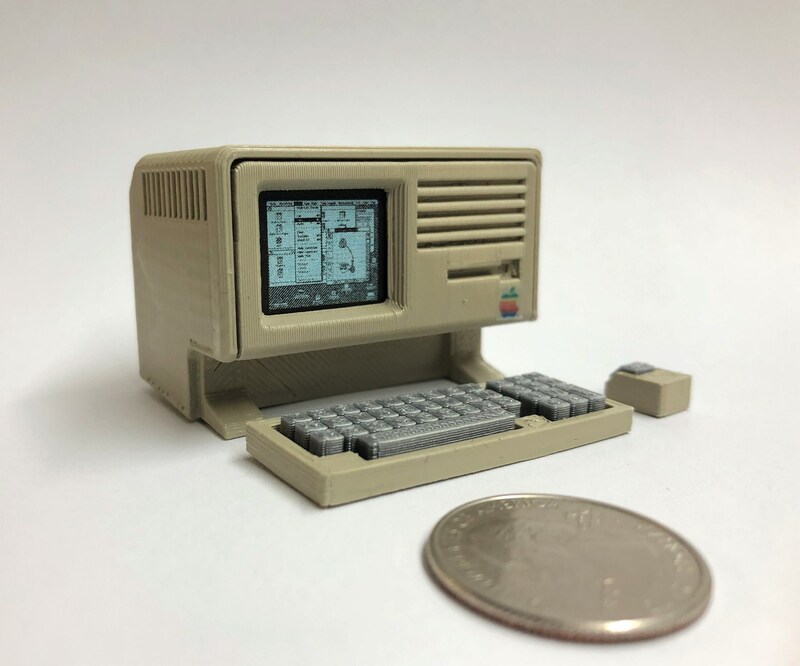 This tiny, 2" wide Mini Apple Lisa was designed using open source CAD software, 3D printed on a Makerbot Replicator, and hand painted and assembled. A great addition to your desk or studio. Includes a teeny keyboard and miniscule mouse. Mini Apple Mac Classic - 3D printed! Mini IBM PC - 3D Printed! Mini Apple II computer - 3D printed! Mini Apple iMac G4 - 3D Printed! Mini Apple iMac G3 - 3D Printed! Mini NeXTcube - 3D Printed! Mini Apple IIGS - 3D Printed! Mini DEC PDP-8/I - 3D Printed! Mini IBM 5100 - 3D Printed! Mini Commodore 64 and 1541 disk drive combo - 3D printed! Mini Apple IIe Platinum computer - 3D printed! Mini Commodore Amiga A4000 - 3D Printed! 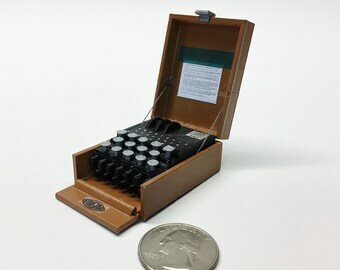 Mini Enigma Machine - 3D Printed! Mini Commodore PET 2001N - 3D printed! Mini SEGA SG-1000 Mk.I - 3D Printed!